As many as five million Unified Cards or Nol cards have been produced since the Dubai Metro began its operations in 2009 — accounting for daily transactions of up to 1.5 million, a senior official at the Roads and Transport Authority (RTA) said. 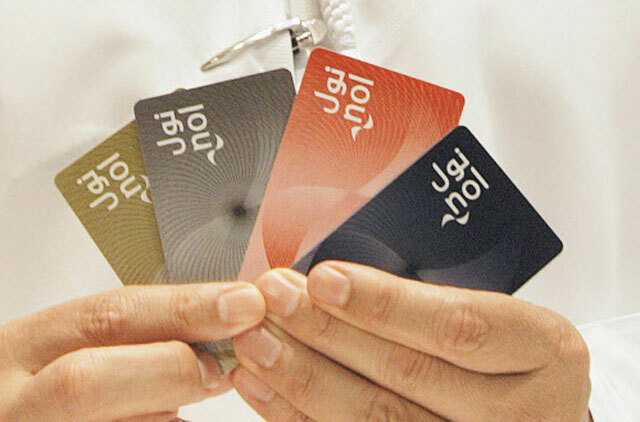 The Unified Card, more commonly known as Nol (Arabic word for ‘fare’) card, has multiple high technological features that can be used in mass transit services of the RTA including the Dubai Metro, public buses, water taxis, and paid parking. “The total number of Nol cards produced since the operation of the Dubai Metro started in September 2009 has almost touched five million cards. Nol Cards are sold and topped up through more than 1000 outlets, and the number of daily transactions of Nol cards currently tops 1.5 million transactions; which includes passengers’ entry/exit from Metro and bus stations, payment of parking fees, and recharging of cards. This figure is indicative of the rising number of users of mass transit modes, particularly the Dubai Metro and public buses,” Mattar Al Tayer, Chairman of the Board and Executive Director of the RTA, said. The Nol card, which comes in four types — Gold, Silver, Blue and Red, recently won the Best Prepaid Card in the Middle East Award as part of the Middle East Smart Card Awards. This electronic payment system remains a safe and convenient choice for people opting for public transport, according to RTA. “The Nol card is both safe and difficult to counterfeit as it is aligned with approved international standards. The design of the card, which is made by several manufacturers, has been tailored to meet future requirements of the electronic payment systems and account for the possibility of adding a variety of uses that go beyond using mass transit systems,” Al Tayer said. To meet every need of the commuting public, RTA has also devised special fares for students, senior citizens, and people with special needs, along with the monthly subscription service. Promotional offers are also available throughout the year.